In the run-up to the 2015 elections, the Buhari campaign administration made around 80 promises. Considering the slow pace of a typical Nigerian government, meeting all these promises was never likely. But we can still put Lai Mohammed's theory to the test by focusing on three promises that had the potential to transform the financial conditions of each of Nigeria's income groups. When Buhari assumed power, oil prices had already slumped to $60, corruption was rampant, and militias in the North and South were killing and crippling the economy. Between July 2014 and 2015, Nigeria had become a tough sell, and the lack of international confidence was evidenced by a 54% drop in foreign investment between 2014 and 2015. Private investment is crucial as it reduces the gap between what the business environment needs and what the government can provide. In trying to restore investor confidence, the Central Bank of Nigeria (CBN) has done much of the heavy lifting, focusing on the health of financial institutions, exchange rate, and so on, whereas Buhari has concentrated his efforts on trade diplomacy; racking up air miles marketing Nigeria to the world. Has he returned with luggage full of confidence? Despite improving the foreign exchange situation and exiting recession, delayed budget passage and lingering insecurity concerns have left investors sceptical over Nigeria. Again, you can see this in how foreign investment declined by nearly 50% in 2016 – in particular, foreign direct investment (investment in physical infrastructure) has declined each year since Buhari’s appointment. However, within this picture of declining foreign investment, there is some good news as Nigeria's financial markets have become more attractive. The Nigerian Stock Exchange was one of the best performing stock exchanges in the world in 2017. Typically, a booming stock market is an indicator of confidence in an economy. But confidence in what? When you consider that only selected industries participate in the stock exchange, is the market telling us how it feels about Nigeria as a whole? To get another picture, we can look at measures of business confidence. The CBN business confidence index can help us here; after plummeting in 2015, the index has been on the rise since Q1 2017 and is nearing pre-recession levels. Despite this, and the Vice President's optimism in labelling Nigeria as a “preferred investment destination”, the signs are still premature. In African governance dialogue, the middle is often left out. However, Buhari made promises here too. Home-ownership provides more than physical security; it is a crucial form of wealth accumulation and a foundation for social mobility. Unfortunately, outside the very wealthy, few Nigerians can afford to own their home. Less than 3% of the population has a mortgage, a serious problem in a country with an affordable housing problem. Asides affordability, Nigeria's housing market faces other obstacles: supply of houses and land use legislation. In 2016, Buhari readdressed his promise by committing to construct 500,000 homes, relying on foreign investors (assuming their confidence had restored) to provide the rest. Where are these houses? With Lagos state accounting for a high portion of the housing gap in Nigeria, delays in developments such as the Igbogbo/Bayeku housing scheme are steps in the wrong direction if Buhari is to meet the optimistic 4 million promise. Despite the enormous shortfall in the supply of houses, most housing policies have focused on the estimated funding gap of ₦60 trillion. For example, the Family Homes Fund received a ₦100bn last year to provide social housing for ₦30,000 a month. But it would be wise to delay too much praise until people move in. 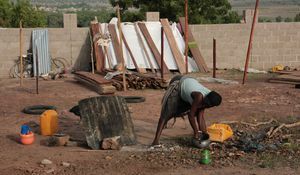 Without a sufficient number of new homes in Nigeria, can finance policies benefit the middle class? Enabling demand at a faster rate than supply could, in fact, reduce the middle class in Nigeria. We need more data to be disclosed, but as it stands many Nigerians will continue to be tenants under Buhari. The promises discussed so far could have been fulfiled without translating into tangible benefits to the masses - we can't eat confidence. In contrast, promises made to the 65% – the informal sector – can go further to ensure change reaches the masses. 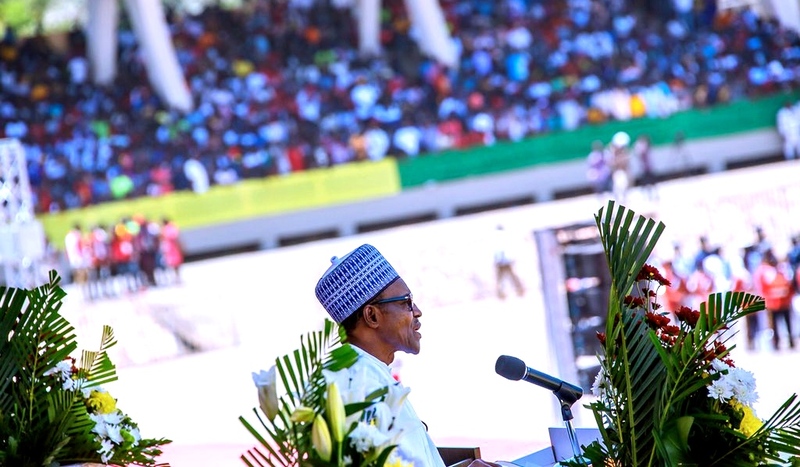 Buhari promised to integrate the informal economy, most tangibly through full implementation of the National ID scheme and thus creating a national database. Such a database provides the government with the relevant data to better understand and address people's elusive needs. Not being able to identify people creates a lot of barriers in Nigeria; for example without a National ID number, businesses cannot operate online payment systems effectively, cutting them off from a growing online customer base. For a promise with so much potential to impact the majority of Nigerians, progress has been slow. Since 2015, the number of citizens with a National ID card has grown from 7 million to 30 million, and most of this growth is from delayed applicants who applied in 2012. According to the director of National Identity Management Commission, we may have to wait another three years before the National ID scheme is fully implemented. Despite the slow progress, the informal sector has not been ignored. Most of the policies introduced by the Presidential Enabling Business Environmental Council such as the collateral registry were aimed at the informal sector. For workers in the industry, PenCom has recently opened the window for informal workers to participate in micro pensions giving them the right to work towards retirement. 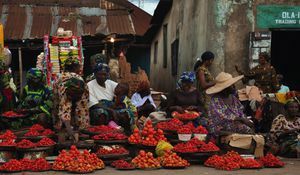 Although Buhari will not deliver on his potential blockbuster promise to the informal sector in his first term, the sector has not been completely neglected.